I might have the Sixth sense. Although I was supposed to go to Tronto today for this concert, had given up that plan a week ago. 4 and half hours fright is too long for 1day trip..
Anyways, according BBC news at least one person died and some more staffs were injured. It looks kind of big accident. 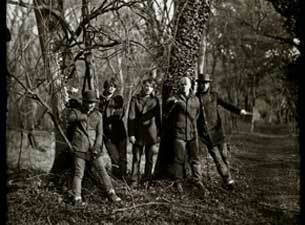 Booked tickets of Radiohead @ Downsview Park Allen Road on June 16. Biltmore was first experience for me to go to live house in Canada, probably that event will be first outdoor concert in Canada. As I speculated in previous entry, FUJIROCK festival unveiled RADIOHEAD appear on stage on their official web site, and radiohead.com tour dates page updated as well. That must be one of the memorial time in their over 15 years history. Tokyo Incidents, (in Japanese) 東京事変 that one of leading bands in Japanese music industry, announced that they decided to call it a day as a band yesterday on their official web site. Their last show is taken place in Nippon-Budokan at 29th Feb. The flont woman of the band Ringo Sina wrote a message on the site. If we died, revive us your playback(rebirth) equipment. # “playback” and “rebirth” have same sound in Japanese. The original message is Japanese, it’s my translation. At last I found a much hilarious photo made by Chinese . If you know a Japanese comic blockbuster DRAGONBALL well, you must burst out laughing!